Side view of young girl from Wales. 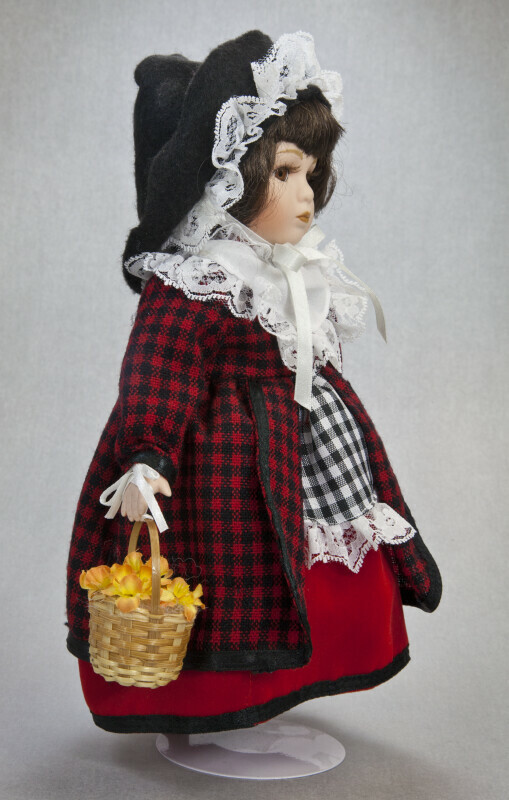 The doll is carrying a straw basket of daffodils. Many Welsh people wear or carry one or both of the national emblems of Wales (daffodils or leeks) to celebrate St. David's Day. Her body is made from stuffed material, and her head, hands, and feet are porcelain. She had black shoes. This figure stands 10 inches (25 cm) tall. For her story, visit A Doll for St. David's Day.